I love trying out new hair products, it’s all a case of trial and error and seeing what really works for me. Having such long hair means I have a multitude of fly-aways. Curly hair also means I have a problem with frizz. Giving me a double whammy of hair troubles to deal with. I’m always looking for that holy grail product that will change my life. 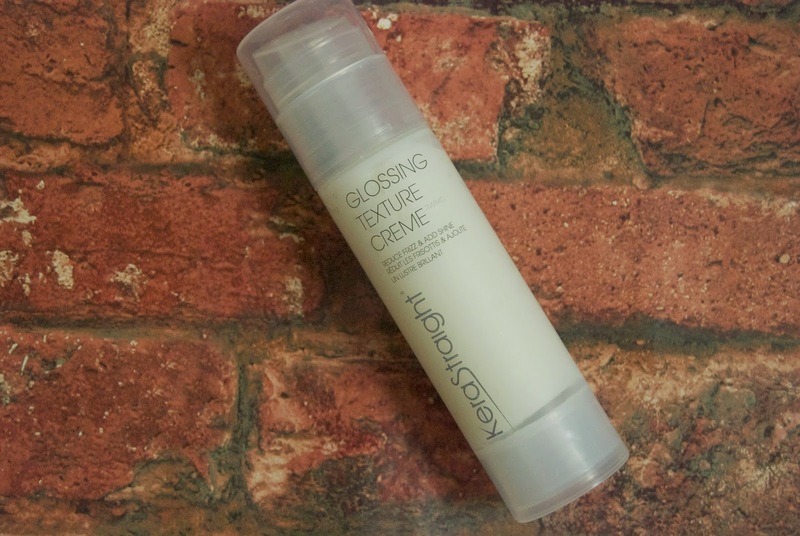 Have I found it with the KeraStraight Glossing Texture Creme? Quite possibly! I’d never used any of their products before so I was excited to try it out. This little beauty is to be applied post blow-dry. You put a small amount in your hands and work it into your hair, it controls that frizz immediately. You can even apply it later on in the day if you see those pesky strays flying around in your peripherals. Adding heat will also release more texture and strength, you can then mold this to your desired style. It has a great scent, I hate it when products are too overpowering with this the scent is quite subtle. If I apply it on my roots before I blow dry my hair I’m able to get some incredible lift which isn’t normally possible with my flat hair. All I have to do once my hair is dry is run my fingers though my roots to add more lift. I’d be keen to try more of their products, their shampoo and conditioner looks particularly good. Have you tried any of their products? "Event: Trinity Leeds Primark Tour"